The Goddess is an eternal archetype in the human psyche. She is always with us, even though neglected, repressed, or outwardly denied. The Goddess has shown herself from the earliest times of civilization, and appears in many guises in contemporary culture. This book explores the inner structure of the Triple Goddess and shows how, by relating to this archetype, one can overcome and redeem the inner tendency toward dualism. Adam McLean provides original insights into the nature of the Triple Goddess, and outlines a number of ways to work with her mythology and symbolism. 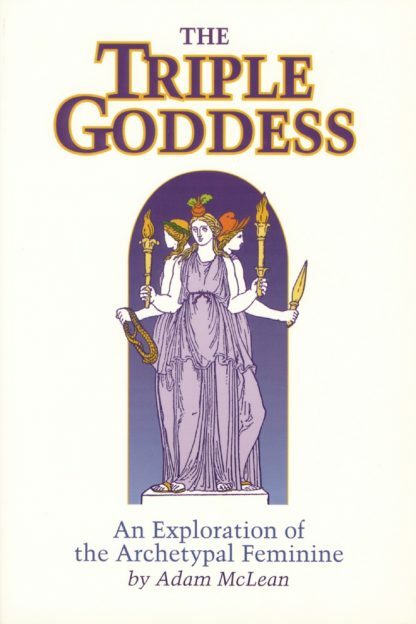 A unique overview of the various Goddesses of antiquity, this volume stands as a valuable resource for anyone interested in the nature of the Feminine. Adam McLean is a well known authority on alchemical texts and symbolism. He is the editor and publisher of over 40 books on alchemical and Hermetic ideas. Based in the UK, he has been writing and researching alchemical and hermetic literature for many years. Between 1978 and 1992, he edited the Hermetic Journal and began publishing the Magnum Opus Hermetic Sourceworks, including The Alchemical Mandala, The Magical Calendar, and Rosicrucian Emblems. McLean organized the alchemy website, www.levity.com/alchemy and an extensive reference work on the subject. He lives in England.